Facebook’s IPO is obviously a landmark achievement; $16 Billion raised in no time, $104 Billion Market Cap, estimated wealth in excess of $20 Billion for Mark… Well done guys. One of the big concerns prior to the Facebook IPO has been GM’s announcement (or leak) that it was pulling away advertising on Facebook, and asking why would GM do and say that now. Only 5% of people trust advertising, and only 9% say advertising companies act in customers’ best interests while 84% of people buy based upon what other people have to say online. The web, post dot-com bust, is about relationships, communication, and sharing by the people (exhibit A for Facebook’s success thus far). Newspaper advertising revenue fell more than 28% in one quarter in 2008. More than 20 metropolitan daily newspapers have folded or moved online since 2007. From 2008 to 2009 only cable TV and online mediums showed audience growth with network TV, local TV, magazines, and newspaper all in decline. Ch1: “The bottom line is that people are sick and tired of being interrupted with traditional outbound marketing messages and have become quite adept at blocking marketers out!” The “10-years ago” tactics in marketing do not work anymore, people primarily gather information through search engines such as Google today. As you are well aware, the average info-seeker performs dozens of searches every day. The second place people look is at one of the more than 100 million blogs on special topics. Thirdly people learn/shop (other than search engines & blogs) with recommendations through social media. Ch3: In order to move from outbound to inbound marketing you have to stop interrupting people and “get found” by them instead. Ch4: Remarkable content is the gift that keeps on giving, unlike paid advertising. 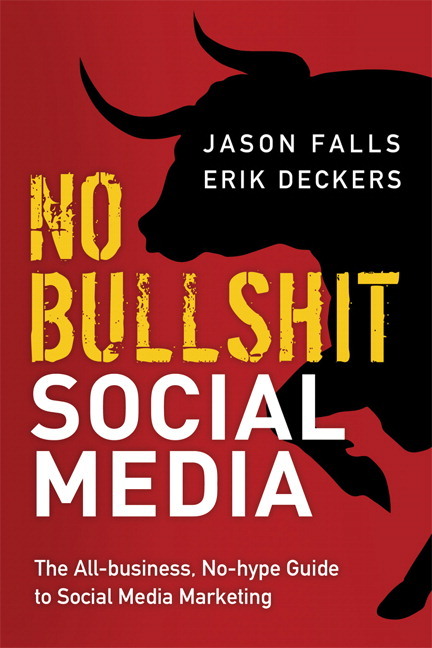 Ch7: The value of Facebook is the ability for content to go Viral and for remarkable content to be genuinely shared with friends of friends, not advertising. 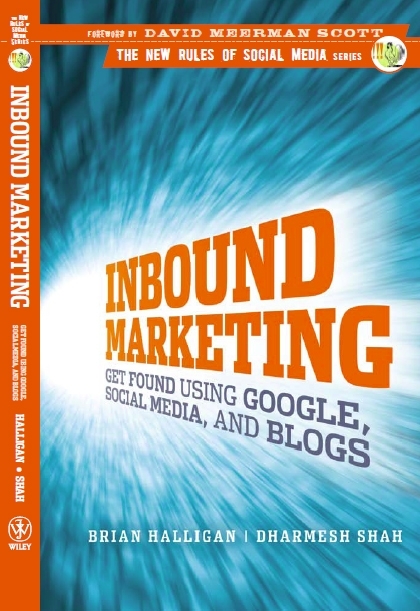 Ch11: On average inbound marketing leads are 61% less expensive than outbound marketing leads. Ch12: In years past Procter & Gamble, Coca Cola, and IBM perfected the craft of interrupting their way into customers’ wallets using outbound marketing, but the era of interruption-based marketing is coming to an end. In case you care about my two cents on Facebook: The stock price will jump because its hyped in the short-term but personally I would not go long on it. Facebook will continue some good growth as it enters into more new markets for the next few years; I have seen that stalker-book obsession of new users too many times since thefacebook.com’s introduction to Cornell in 2004 to not place merit on its new market growth potential (currently less than 1/7th of the world is on Facebook). You might remember, one of the main reasons people shifted to Facebook from Myspace was because it was clean, simple and free from ads and spammy content. Facebook, in looking to become a more and more profitable business, has forgotten its original premise and those of us who were on the site when there were less than a few thousand people have begun to distance ourselves from it. I do not believe that outside of application (in game etc) advertising Facebook has a solid-enough revenue model as people are more and more annoyed with interruption advertising and are exceedingly better at ignoring it (which devalues Facebook’s offerings). Their introduction of sponsored stories changes the game a little bit, but again at some point, people will get sick of the advertising in this manner. In the midst of the hype it may seem like Facebook is the end-all conduit for online communication of the future, but I believe its time is coming and that its purchase of Instagram for so elevated a price is a warning sign and insecure fear of insignificance from the leadership.